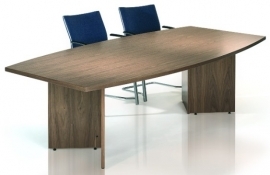 Here you will find Executive Tables to compliment the Executive Desking ranges. Why not take advantage of Harts of Maidstone\'s Free Space Planning Service? We can advise on the ideal size for your room, the number of people the table can sit, plus styles of legs and bases for your executive table.